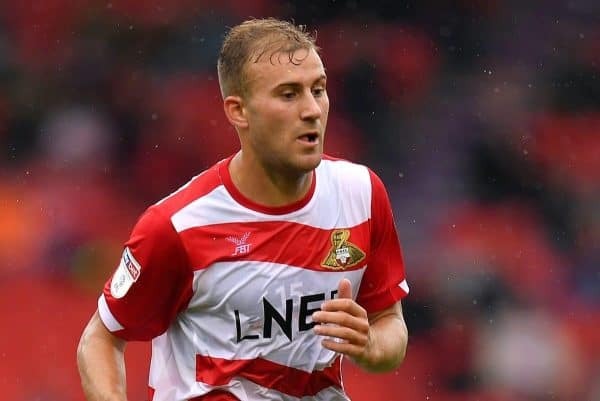 Liverpool loanee Herbie Kane scored one and assisted one as Doncaster sealed a 3-0 victory over Southend on Tuesday night, with his fine campaign rolling on. 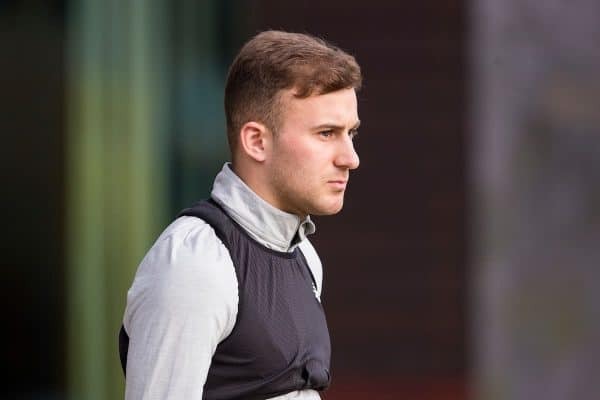 Kane joined the Dons on a half-season loan in August, but after signing a new deal with his parent club he saw his spell at the Keepmoat extended to the end of 2018/19. The youngster, who only turned 20 in November, is proving hugely popular in Doncaster, and after immediately taking up a starting role under Grant McCann has proved himself indispensable. He made his 36th appearance for Rovers in midweek—all of which have been starts—as they continue their push for promotion to the Championship. And after laying on the third of the afternoon in Saturday’s 3-1 triumph over playoff rivals Peterborough, Kane added to his tally of goal contributions against Southend. After John Marquis put Doncaster 1-0 up, the Liverpool youth picked the ball up on the centre circle, nutmegged his way into space and played Mallik Wilks through to cut inside and double the lead. Kane then put the finishing touches on the victory, tapping into an open net from Marquis’ cutback to extend the Dons’ unbeaten run to five games. The ex-Bristol City youth has now scored seven and laid on nine in 36 games for Doncaster, with Harry Wilson the only Reds loanee to equal his number of goals and assists combined this season (16). It has been a remarkable campaign so far for Kane, who speaking on extending his contract with Liverpool outlined his ambition to play for the first team in the future. “My aim is to come back in the summer and try to make a footprint, but if that requires going back out on loan again then that is what I’ll do,” he told the club’s official website. “But I’m hoping I come back in the summer and impress the manager in pre-season. There is a wealth of midfield options at Jurgen Klopp‘s disposal this season, but it could be that at least one departs in the summer, namely James Milner and Adam Lallana. Kane has time on his side, and though Marko Grujic could also return to vie for a spot alongside the likes of Fabinho, Gini Wijnaldum, Naby Keita, Jordan Henderson and Alex Oxlade-Chamberlain, the Bristolian has a chance. If he keeps up this form at Doncaster, it will be difficult for Klopp to ignore.